The Knights of the Sky from planet Windermere fly their very own Sv-262 Draken III variable fighters. 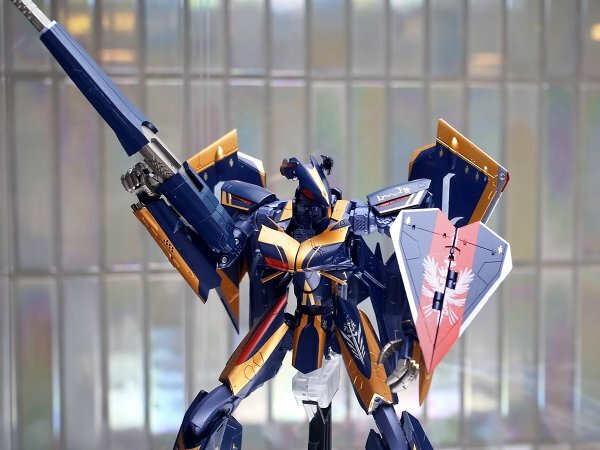 Transforms from a Saab Draken inspired airplane into a knightly Battroid. Price and release date are to be announced. 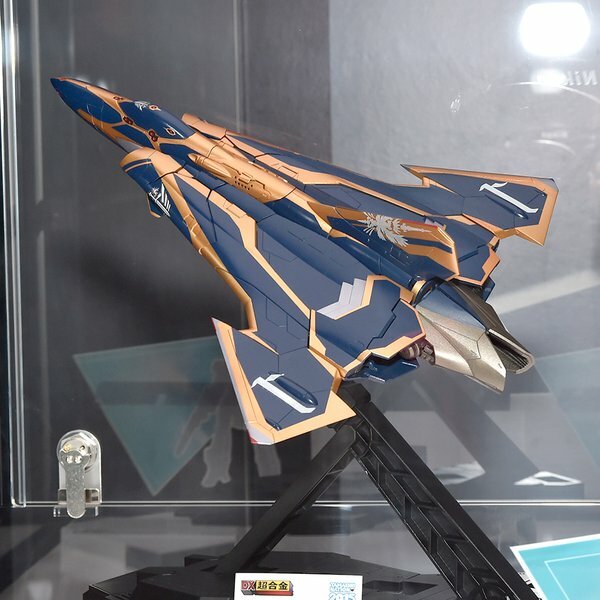 Is this the first time we've seen a Macross jet with a single vertical stabilizer? I really like the design. It looks like the stabilizer splits to become the shield. I wonder if they've come up with a way to keep it secured together in jet mode. If not, it might end up having two stabilizers after all...that sort of thing never seems to hold properly. The rear stabilizer is indeed the shield. 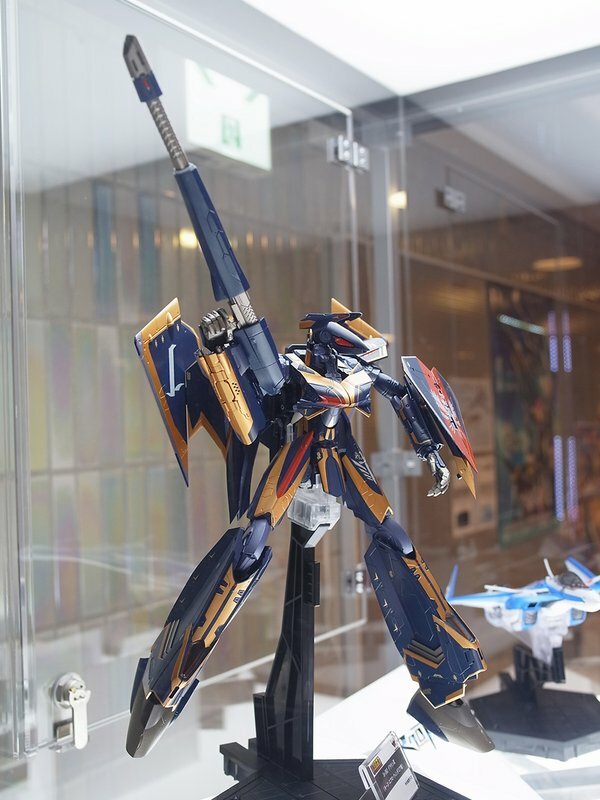 The Draken's overall transformation is similar to the VF-9 Cutlass. Holy cow! That's *nice*. I never would have expected the arms to be stacked in a row like that. 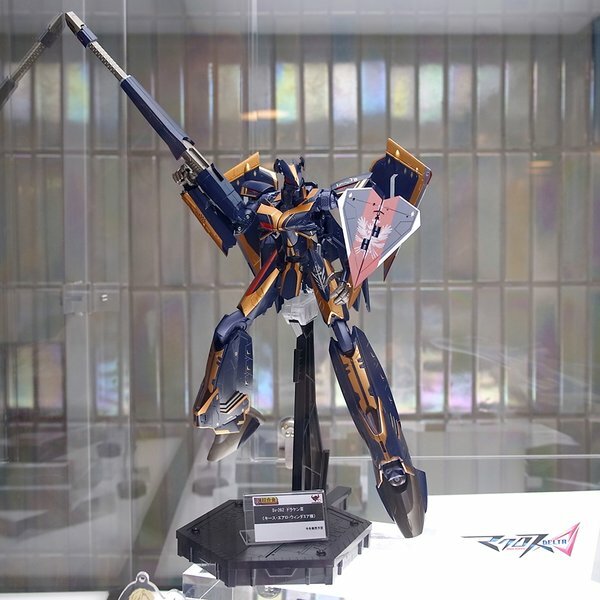 So does that mean that the shield is on a rotating mount, and it doesn't have to be removed during the transformation? That is correct. The left arm with the shield is simply the rear most part of the fuselage, just under the fin.